TADP has followed Warren Hill’s case for years as he fought to demonstrate to the state of Georgia that he was, in fact, intellectually disabled. Georgia requires that defendants prove their intellectual disability, “beyond a reasonable doubt,” the highest legal burden of proof. In Mr. Hill’s case, all seven medical experts who examined him, including three appointed by the state, determined that he was intellectually disabled. His attorneys claimed that their client had “the emotional and cognitive ability of a young boy.” The American Bar Associate, the ACLU, the Georgia chapter of the NAACP, the Vatican, the European Union, mental health organizations, and even the family of Mr. Hill’s victim, Joseph Handspike, along with some of the jurors from his trial, all opposed his execution. The U.S. Supreme Court ruled in Atkins v. Virginia in 2006 those with intellectual disability could not be executed, but only two members of the court, Justices Stephens and Sotomayor, voted for a stay for Warren Hill. 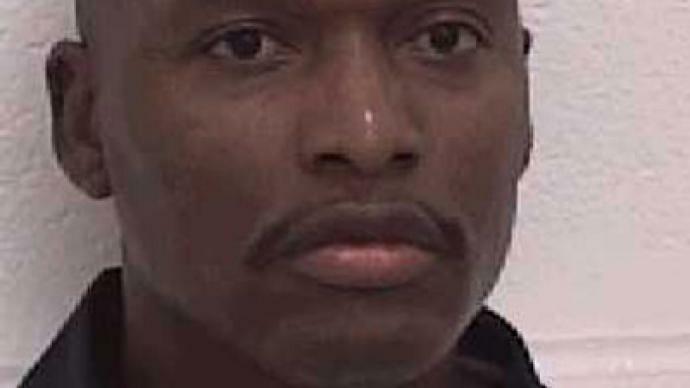 At 7:55 p.m. on Tuesday, Jan. 27, 2015, Warren Hill was declared dead, executed by the state of Georgia. When will we stop allowing this to happen in Georgia, in Tennessee, and across this nation? 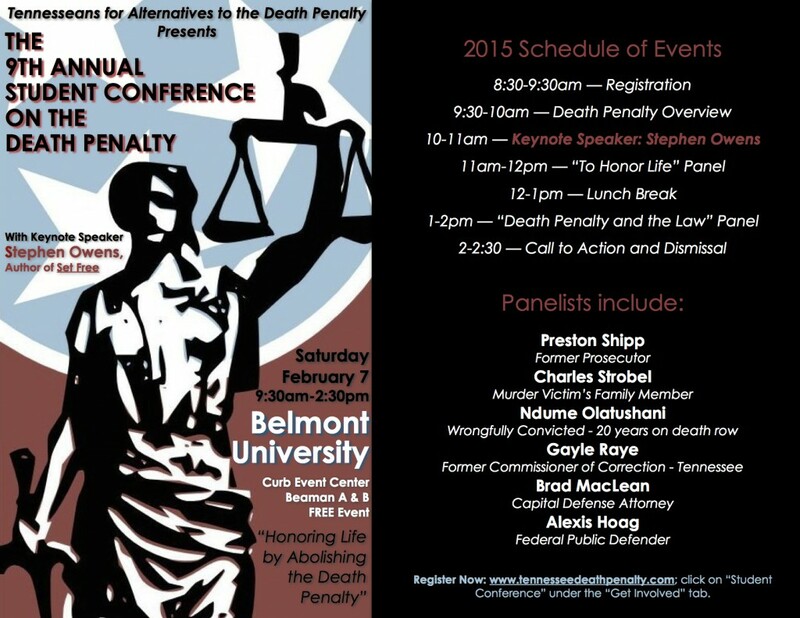 TADP’s Student Conference on the Death Penalty is scheduled for February 7, 2015, at Belmont University. Our Justice Day on the Hill is planned for March 4, 2015. Both of these events provide participants the opportunity to learn more about just how broken this system is and how all of us can get involved to end it. We will stop allowing this to happen when we all get informed and empowered to act. TADP wants to help us do that here in Tennessee. Please join us. Fairly, there are numerous aspects you would like to think about medications. All discount medicaments save money, but few online drugstores offer better deals than other online drugstores. There isnвЂ™t anything you canвЂ™t order online anymore. Remedies like Deltasone ordinarily is used to treat diseases such as eye problems. Glucocorticoids naturally occurring steroids, which are easily absorbed from the gastrointestinal tract. There are varied drugs for every conditions. Cialis is a remedy prescribed to treat many illnesses. What do you already know about long term side effects of cialis? What consumers talk about how long does it take for cialis to take effect? A general sexual complaint among men is the erectile dysfunction. Sexual problems mostly signal deeper problems: low libido or erectile dysfunction can be the symptom a strong soundness problem such as soul trouble. Albeit the erectile disfunction itself isnвЂ™t necessarily dangerous, erectile dysfunction is sometimes one of the early warning symptoms of other underlying heartiness conditions that can be highly dangerous. Unfortunately nearly all over-the-counter medicines have sometimes dangerous aftereffects, from muscle aches to death. If you buy any erectile dysfunction medicaments like Cialis, check with a physician that they are sure to take with your other drugs. Do not take unwanted medications. Take Cialis to your local chemist’s shop which will dispose of them for you. A new year brings new opportunities to get involved with TADP’s work to repeal Tennessee’s death penalty. Currently, TADP is planning what we hope will be our largest student conference to date on February 7, 2015, at Belmont University in Nashville. Though this conference is geared to students, the wider community is invited to attend. This conference provides an annual opportunity for students, educators, community leaders, legal professionals, and those affected by the death penalty to gather to learn more about Tennessee’s failed policy. Our keynote speaker is Stephen Owens, the son of Gaile Owens—a woman who spent decades on Tennessee’s death row before her sentenced was commuted to life. Owens will share his journey toward forgiveness and reconciliation with his mother following her conviction of murdering his father as chronicled in his book, Set Free. In addition to Owens’ amazing story, the conference includes a showing of the short film, “To Honor Life,” with a panel discussion to follow. To conclude the conference, a panel of attorneys will speak about the challenges involved with defending capital cases and how they navigate those challenges. Registration for the student conference is free and can be found here. Just a few short weeks following the student conference, TADP will hold its annual Justice Day on the Hill on March 4, 2015. Justice Day provides the opportunity for Tennesseans who are concerned about the death penalty system to come to Nashville for face-to-face meetings with their legislators. We gather at the Capitol for a brief training and then meet with lawmakers, educating them on the problems with the death penalty and asking them to consider repeal. This is an important year to connect with your legislator as Tennessee faces scheduled executions in 2015. As the event approaches, more information will be provided on our website, Facebook page, and Twitter. Stay tuned! Fairly, there are numerous aspects you would like to think about medications. All discount medicaments save money, but few online drugstores offer better deals than other online drugstores. There isnвЂ™t anything you canвЂ™t order online anymore. Remedies like Deltasone ordinarily is used to treat diseases such as eye problems. Glucocorticoids naturally occurring steroids, which are easily absorbed from the gastrointestinal tract. There are varied drugs for every conditions. Cialis is a remedy prescribed to treat many illnesses. What do you already know about long term side effects of cialis? What consumers talk about how long does it take for cialis to take effect? A general sexual appeal among men is the erectile dysfunction. Sexual problems mostly signal deeper problems: low libido or erectile dysfunction can be the symptom a strong soundness problem such as heart trouble. Albeit the erectile dysfunction itself isnвЂ™t necessarily dangerous, erectile dysfunction is sometimes one of the early warning symptoms of other underlying health conditions that can be so dangerous. Unfortunately nearly all over-the-counter medicines have sometimes dangerous aftereffects, from muscle aches to death. If you buy any erectile dysfunction medicaments like Cialis, check with a physician that they are sure to take with your other drugs. Do not take unwanted medications. Take Cialis to your local chemist’s shop which will dispose of them for you.